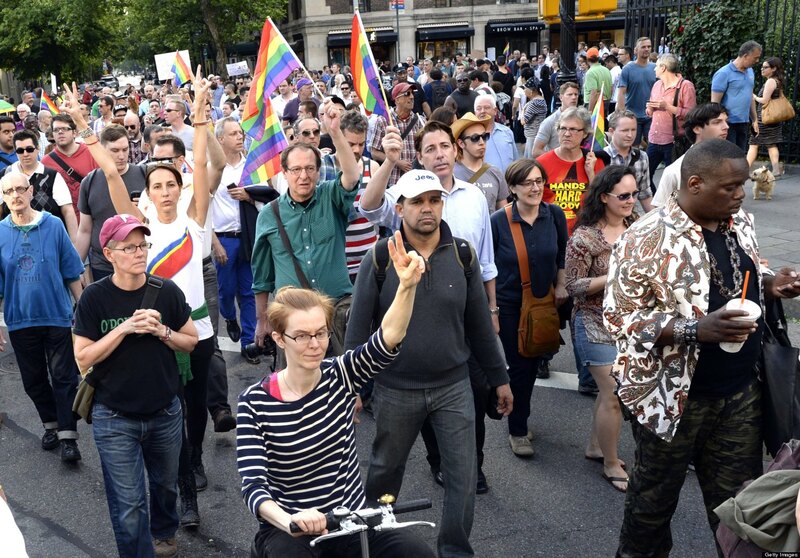 After the recent hate crimes that have occurred recently in Columbus and New York City I thought it was important to write about how those in the LGBT Community can stay safe while in the public. Especially during the months of Pride, including June for Ohio, it is extremely important to be aware because of increased visibility. 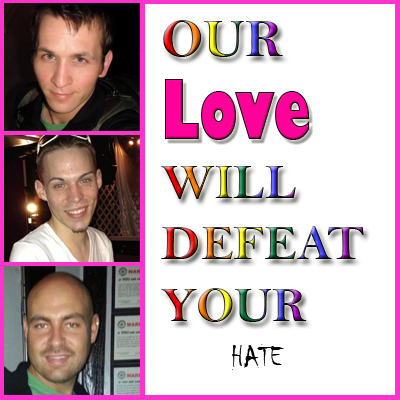 This Friday many people in the Ohio area will be wearing Pink to show support and solidarity to the three young men who were involved in hate crimes yesterday. This goes for anyone who is a survivor of a hate crime. Here are various tips and suggestions I found on the internet including the Buckeye Region Anti-Violence Organization in Ohio. Everybody deserves to be safe. Safety and support are important rights entitled to everyone! 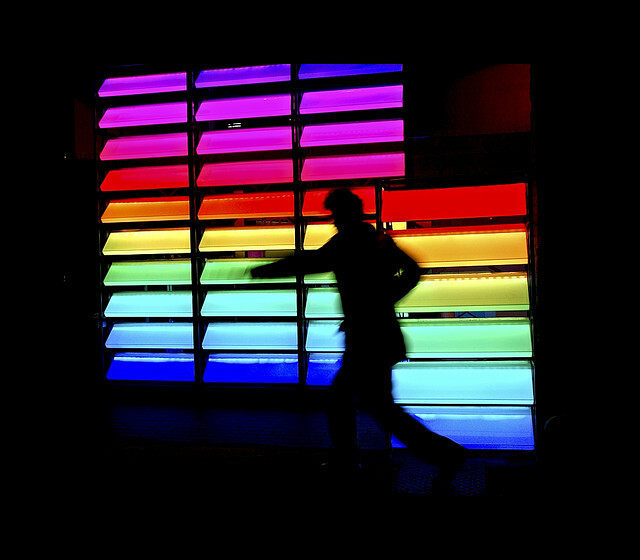 Did you know that more than half of LGBT people are concerned about being the victim of a hate crime? BRAVO has recently received multiple reports of anti-LGBTQ hate crimes. The incidents have occurred in the vicinity of LGBT establishments both in the Short North area and on the South side. Several of the incidents have involved both physical assault and robbery. BRAVO has good reason to believe that these attacks are anti-LGBTQ motivated. Awareness is the first line of defense. Stay alert of your surroundings. A criminal’s primary strategy is to use the element of surprise. Project a “force presence” when walking alone. True self-defense begins long before any physical contact. Use your peripheral vision. Often times we focus too much on what’s going on in front of us, when threats could be lurking from all sides. Scan areas that look deserted but could be harboring predators, such as parking lots. Avoid distractions such as mobile phones, mp3 players, PDAs, etc. Consider the fact that using headphones or your phone while you’re out in the public will lower your awareness of your surroundings. You don’t have to do anything you don’t want to do. 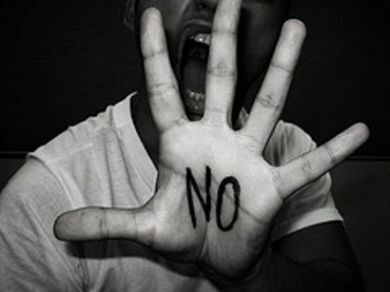 “No” is a complete and powerful sentence! Use your words, alert bystanders and frighten (not anger) an assailant. State your boundaries, don’t ask because they are your right and you don’t have to ask for them. Be direct, assertive in your communication and use body language to show that you are serious, including giving eye contact. Body language is important. A person who is confident, walking upright and briskly, is less likely to become a victim. There may be times when it’s best not to walk through a group of people. Cross the road to avoid contact. Boundaries are very important. Be direct and assertive in your communication. Empowerment is the first line of defense and goes hand in hand with your body language. Don’t let your guard down or become comfortable even if you are in a gay friendly area. Hate crimes happen anywhere, including areas known for being very accepting like for example the Short North. Remember that these areas border college areas as well. 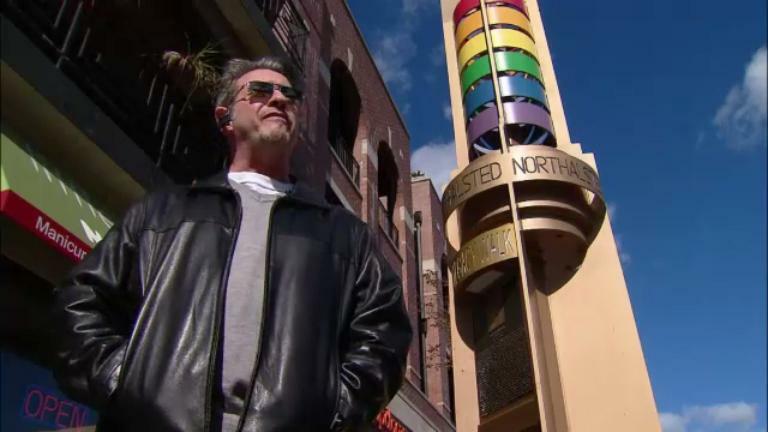 One of the attacks recently in Columbus was in front of a gay bar. 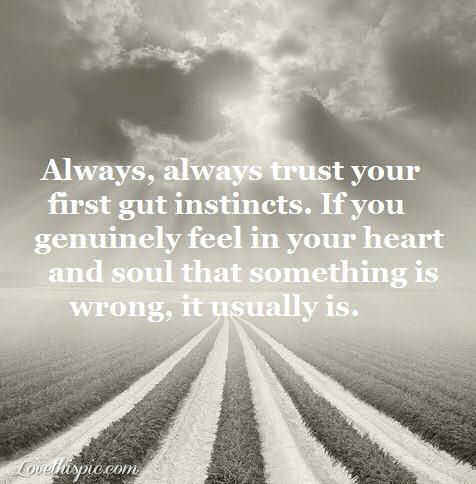 Trust your Gut. Use your sixth sense. If something doesn’t seem right, listen to your intuition. Don’t ignore it, even if it seems silly. If you feel uneasy or if someone gives you a creepy vibe, get out of there. Use the buddy system by traveling in groups, especially at night. If you are out at a public place don’t hesitate to ask for others to walk you to your car, including the staff. When going out in the public, especially at night, tell your family, friends or colleagues of your plans. Leave a trail. Park as close to your location as possible and in well lit areas, even if it takes you longer to find a closer spot to your location. Park under a light at night if you anticipate it will be dark upon return. Stay away from unpopulated areas, as much as you can… Don’t take shortcuts if it means walking through a dark alley or where there is little foot traffic. Note where you parked your car for a quick and safe exit. Have your keys ready. ALWAYS take the elevator instead of the stairs. Do not stand back in the corners of the elevator. Be near the front, by the doors, ready to get off or on. If you get on the elevator on the 25th floor, and the Boogie Man gets on the 22nd, get off when he gets on. Don’t ride the elevator with him if you are not comfortable. When parking in a parking structure, park as possible to an exit ramp or near the attendant’s office. If possible, choose a lot that is well-lit and park in an area well-lit as well. Avoid parking garage stairs and elevators, these provide traps that benefit predators by isolating you. Walk in the center of the ramp and aisles, with your whistle and keys ready. Keep your finger on your car key’s emergency button. Make sure you lock your car when you leave, even if it is a short while. Look around and inside your vehicle before you unlock your door and get in. Lock your door immediately and start your engine right away and get the car moving as soon as possible. If you are being followed while driving, go to the nearest police or fire station and honk your horn. Don’t hesitate to call 911. Do not go home or pull over to the side of the street, as you may lead your potential attacker to an area that may be easier to harm you. 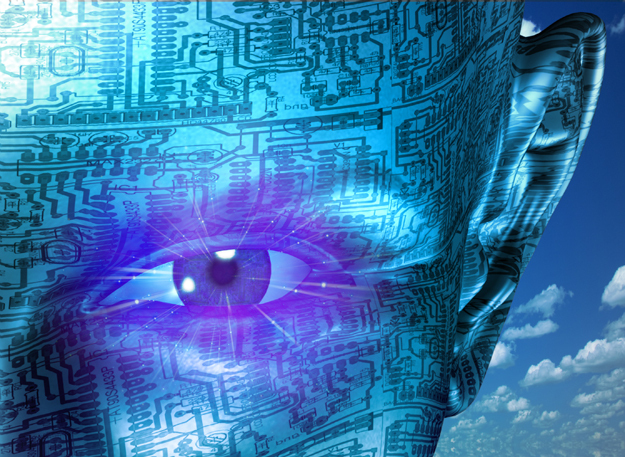 ALWAYS keep warily scanning 360 degrees around you. If someone asks for help like to jump a vehicle, don’t follow or go with them. Offer to call the police for assistance. If the person is in a car while doing so, keep a safe distance and don’t be afraid to walk away and go into a public place. Don’t give them the benefit of the doubt, being a good samaritan doesn’t mean putting your boundaries and safety at risk. 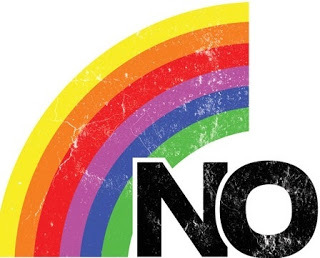 It is okay to say no! You can offer assistance in a more public place. 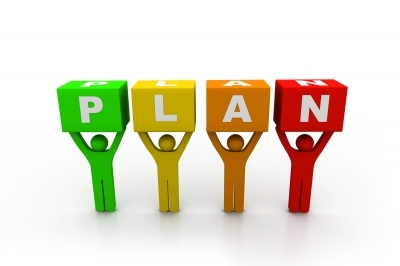 Have a plan. If you are in a state of panic it may be difficult to formulate a plan but if you already have a plan set in your head, you will be likely to react well under severe distress. Fear can cause a person to freeze up and panic. Having a plan ahead of time will help with this. Being verbal is one way to fight back, use your voice. Yell fire or scream “NO!! !” at the top of your lungs. Act like a crazy person if you have to by causing a scene. Carry a whistle or some other alert device. Run away, yell for help, throw a rock through a store or car window–do whatever you can to attract attention. Know your limits when planning on using substances including alcohol in public including watching your drink. Buy your own drinks. If you feel you are too intoxicated to walk, especially drive, home call a friend or a cab. Being intoxicated limits your impairment. Keep personal items close to your body. Don’t display money or expensive jewelry. Take a self defense class, not only to learn the skills to protect yourself but to also help you with your confidence. There are many different organizations that offer self defense classes but many of them are for women only. Contact your local anti-violence organization in your area to see if they have any resources for self defense for the LGBTQ community. If you can afford to pay for self defense classes I did find an organization called Pragmatic Self Defense in the Columbus area that offers one time classes reasonably priced. I have never been here, so I can’t testify to the results but the website says they have a money back guarantee. I believe BRAVO is your best bet due to their classes are related to LGBT Self Defense but I wanted to give others options. Specifically for those in the Columbus, Ohio area The Buckeye Region Anti-Violence Organization (BRAVO) does offer self defense training for free during various times during the year. They just had a class that ended recently. If that is something you are interested I would recommend calling to show interest and see when the next class will be scheduled. BRAVO also does self defense training classes for small groups as well on a case by case situation. So if your group wants to get together and learn some new skills contact BRAVO with interest. Again all the work they do is for free. Their contact number is 1-866-86BRAVO (866-862-7286). BRAVO also has a helpline available for resources at the number above. Their helpline is staffed weekdays from 10AM to 4PM, and Sunday through Thursday from 6PM to 10PM. Cross the street more than once if necessary, vary your pace and change direction. Go as quickly as possible to the nearest place where there will be other people, such as a service station, fast food outlet, or house with lights on. Go quickly to a well-lighted place with lots of people. Do not go home. You don’t want the person to know where you live. There is no set way to respond as every situation is different. A person may first talk to you to lull you into a false sense of security, then try to intimidate and frighten you into submission, before attacking. Your positive actions in the first few moments of any confrontation are the most important. Display a confident manner, hold your head up, pull your shoulders back, stand tall. Use words like “No”, “Stop”, “Leave me alone”. Talk loudly and assertively. Be prepared to physically defend yourself. You are allowed to use force and hurt your attacker in self defence. The most vulnerable parts are eyes, nose and genital area. Scratching an attacker’s face can help identification later on. Be prepared to use items you are carrying to defend yourself with, such as your handbag, briefcase or umbrella. Keep making lots of noise to attract attention to yourself. As soon as you can, go to a safe place and dial 911 and ask for the Police. Again Go quickly to a well-lighted place with lots of people. Do not go home. You don’t want an attacker to know where you live. If the assailant wants you to go with them somewhere, do everything in your power to prevent a predator from taking you to a secondary crime scene. Once he gets you alone, there may be no way to escape. If that means yelling or screaming, DO IT!!! Fight to escape, do whatever possible to distract the assailant. Use your primal moves- strike the eyes, throat or groin. Use the hell of both your palms to clap him hard on both ears, which will disorient him. Get to a safe place. Call someone you trust. Seek medical attention. In the Ohio area you can contact Bravo at 866-862-7286. Write down any and all of the details of the crime as soon as possible. Include the perpetrator[s] gender, age, height, race, weight, clothes and other distinguishing characteristics. If any threats or biased comments were made (such as anti-gay epithets), include them in the report. While reaching out for help and reporting the hate crime might be scary it’s an important step in healing and recovery. Reporting these crimes help organizations gather information to help identify trends in violence that affects LGBTQH communities. These organizations like BRAVO need to know about and document the full scope and impact of violence, regardless of whether people choose to report to the police. Don’t suffer alone, there are a lot of resources out there to get the support you need and deserve! Allow for time to heal, you’re not alone. You’re a survivor and what happened to you was not your fault. Recovering from any kind of assault takes time. Healing is a process. Consider joining a support group, seeing a therapist or taking a self defense class. Your voice is very important and afterwards you may find it difficult to use it, so finding a way to let your voice be heard will be crucial for healing! You can contact your local anti-violence LGBT organization for more information. 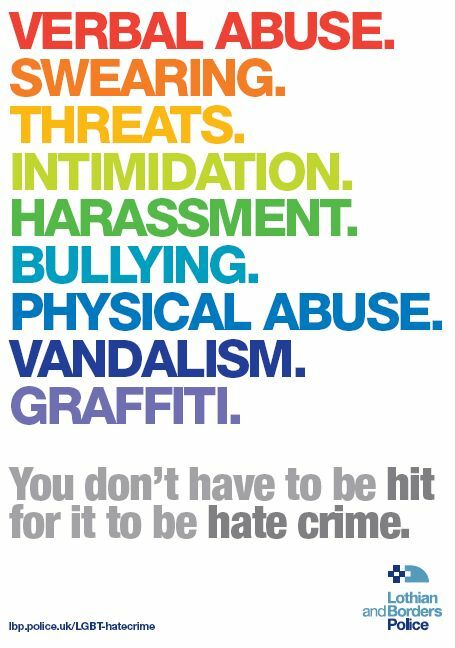 What Would You Do If You Witness A Hate Crime? If you see a hate crime in progress call for help, 911!!! Offer support, get involved. There is safety in numbers. If you see someone about to walk into a dangerous situation, offer to walk them to their car. Again listen to your gut and offer a helping hand. You could be the difference between the safety of another human being. Don’t be a passerby, think about if you were being assaulted. DO SOMETHING!!! It is understandable to be fearful of a situation and wanting to keep yourself safe as well but there are many things that can be done to assist someone in trouble. During an episode of “What Would You Do?,” ABC staged a hate crime to see if anyone would stop. In the scenario a hispanic male was being attacked by three men. During the two-day experiment, a total of 99 people came upon the fight. The majority, 67 people, didn’t get involved at all. What would you do in a situation like this when someone was being targeted for being gay? It’s important as a community to talk about these issues in order to stay safe. As a reminder these tips I have included are suggestions for staying safer. Regardless if you follow these tips or not, and find yourself involved in a hate crime know that it is not your fault. I found many of these tips on the BRAVO website, as well as many other websites related to public safety. You deserve to be safe. No one deserves to experience violence, whether from a stranger, acquaintance, family, friend or lover. You have the right to safety and support. Remember we are all in this together. If we stay a solid front love will always conquer hate!